Leadership for unmistakable positive impact is a thoughtful process. Successful leaders challenge the status quo, more of the same mindset. Successful leaders have a vision of excellence. Polar mindsets exist on a continuum for almost all walks of life. To be an agent of change and to thrust towards your vision, you must accept your role as an agent of change. To be an agent of change in an organizational system you must begin with a vision, but you must also have undeniable passion and engagement. You will be cautioned about pace and acceptance. Be careful though. Too much change too fast can be worse than no change at all. Make a careful examination of all the working parts, seek input from others, listen, watch, and listen again. When working in human systems, such as schools, implementing your vision will be a journey. Make your vision everyone’s vision. Help everyone see the same BIG picture. But be careful in your endeavor. Creating a vision for all, does NOT necessarily and often rarely means getting everyone on your boat, your bus or whatever you are driving, with your vision. Do not be blinded by your vision. If you want to be a catalyst for change you must adapt, don’t adopt. Expect road blocks on your journey down the yellow brick road. Do not let resistors impede your goals, your dream, or your vision of excellence. It is the vision that promotes change and begins the dialogue for growth, leadership, and excellence in others. It is the vision for excellence that will transfer to your staff and your students. The vision should be based on a collective mindset, and by that not just a leadership team you hand pick, but rather leaders that the school selects and entrusts their voice. You will be the guide that helps build teacher capacity for teaching and in turn student capacity for learning. You will be the facilitator. Your job is to inspire action. Great leaders can inspire cooperation, trust and change in our schools. As you think about leadership, do not think about one person or one group singularly. Rather think about leadership as the tone of the whole school. I once worked for a principal who had a core group of “self selected leaders” in the building. There were about 5 of them. At another school a principal designated a STAR team of school leaders. The practice of creating such teams will often fracture a faculty. It causes an us versus them mentality. It builds contention among some of the best talent in the building. Building a school culture where everyone can have an opportunity to lead helps schools share in the creation of future leaders, by building leadership capacity. “In this way we can build leadership capacity for the future and strengthen leadership practice in our schools. The most lasting and effective change is the change that occurs from within.” (Ciaran McMahon, Principal) If each faculty member is expected to participate in leadership then each member has an opportunity to grow in a specific area that is meaningful to the school. Everyone is a “star”, everyone is a leader. Everyone “buys-in”. What does thoughtful leadership have to do with Digital Literacy? As we evolve into bring your own device (BYOD) cultures, good leaders must understand how to manage and facilitate a new way of teaching and a new way of learning. Many teachers resist integrating technology into their lessons. Great leaders should be equipped with the ability to use, understand and promote digital literacy into classrooms. Yet many teacher leaders and principals do not yet begin to distinguish what good teaching with technology looks like in the classroom. Great leaders will help create a system of high quality instruction and continuous refinement which will lead to the success of all students. There will be no start or end points. Great teacher leaders will jump in the middle of chaos and make sense of it, fill in the gaps, and with creativity and gut make thoughtful and informed decisions that will set schools on a successful path for all stakeholders. Great leaders will nurture ideas and nurture their teachers to build a capacity for a future we can not even begin to imagine. Thoughtful planning will be reflected in a well written outline of step by step best practices with differentiation and content embedded with what the learner will be doing as opposed to what the teacher will be doing. This idea towards a constructivist model will engage students in the creativity part of what knowledge they are constructing and the teacher is facilitating. Technology will moreover be the tool towards building and encouraging imaginative paths to problem-solving, students learn skills that will provide them with the ability to solve problems, great and small, for a lifetime. The role of a teacher is not to COVER. The role of a teacher is to allow students to UNCOVER. How will leaders learn about Digital Literacy and stay informed? 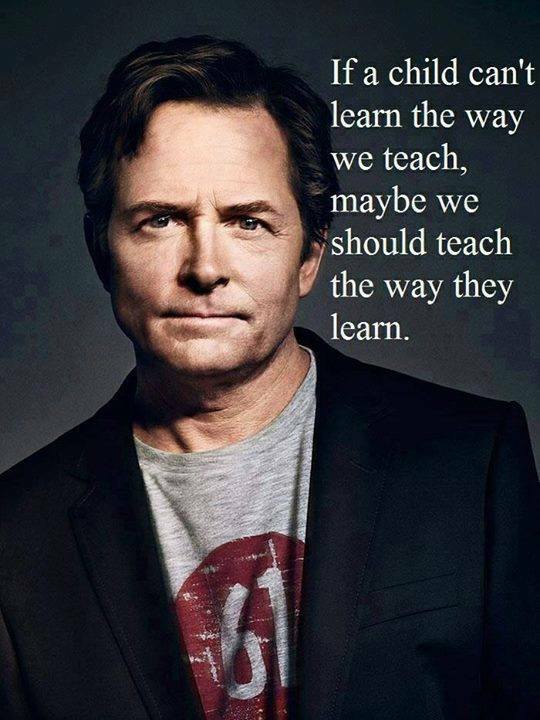 Many teachers and leaders still hold true to the claim “If I teach it like I was taught then that should be fine for them”. This mental model will often inhibit the ability to embrace the ideal of continual learning not only for our students, but for our teachers as well. The downside is that mental models, by their very nature, are incomplete and can contain errors, because our brains fill in gaps with assumptions. Great leaders have to challenge us as well as themselves to break free of our assumptions and learn to recognize our thinking. We must move towards a system of inquiry. Leaders must set the tone and be an active participant in learning about Digital Literacy and how instructional practice changes it’s appearance with 1-1 and BYOD initiatives in their schools. Leaders must not be afraid of the direction technology is taking us. Instead, educational leaders must be able to understand that this is an “apprenticeship” of sorts. It will be a journey of what works and what doesn’t. No longer do students or teachers have to memorize and acquire the knowledge, they simply ask Google. But students and teachers do have to discern what reliable information is, are resources they are examining for information indeed reliable. Students need to learn how to assimilate the information, evaluate it, and then reintegrate it into authentic presentations. And the future offers a vast array of opportunities that will make learning available to anyone surfing the net! It is an exciting shift in thoughtful leadership and requires us to think about possibilities never imagined before. Collins, James C., and Jerry I. Porras. “Building Your Company’s Vision.”Organizational Behavior and Leadership. N.p. : Mcgraw Hill, 2008. 316-28. Print. Fullan, Michael. “Principals as Leaders in a Culture of Change.” Educational Leadership Special Issue (2002): n. pag. Print. Kouzes, James M., and Barry Z. Posner. The Leadership Challenge: How to Keep Getting Extraordinary Things Done in Organizations. San Francisco: John Wiley & Sons, 1997. Print. Wind, Jerry, and Colin Crook. “From Mental Models to Transformation: Overcoming Inhibitors to Change”, Harvard Business Review, April 2009. Print.